The Ig-superfold is characterized by a primary sequence motif that spans some 100 amino acids. In three dimensions, this sequence motif translates into a compact domain structure that comprised of two anti-parallel P-sheets packed face to face (Fig. 1). Although there is a defined topology and connectivity for the Ig-superfold, the number of P-strands is variable. To take account of this variability Ig-like domains have been classified into different sets, according to the number and arrangement of the P-strands [2, 3]. The nomenclature is standardized with the P-strands labeled sequentially from A to G, and structurally equivalent P-strands in different sets retain the same letter. The I set is defined as having strands ABED in one P-sheet and A'GFCC' in the other. The V set has an extra C" strand in the latter P-sheet, while sets C1 and C2 lack strands A', and A' and D, respectively. For all of the sets, primarily hydrophobic residues form the core of the P-sheet sandwich, and there is commonly an inter-sheet disulfide bond present (usually between P-strands B and F) to add extra stability to the fold. Additional disulfide bonds can also be present both within an Ig-like domain and between Ig-like domains. 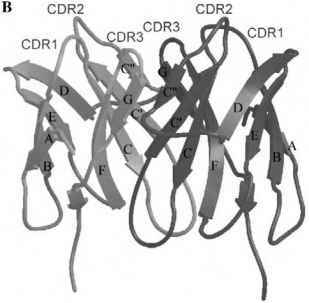 Figure 1 (a) CD2 structure. An example of the "beads on a string" IgSF architecture. (PDB code 1HNF ), and (b) CD8 structure. An example of a dimeric IgSF molecule (PDB code 1CD8 ). Several separately cataloged types of structural motif have a P-sheet sandwich topology similar to that of the Ig-superfold. These will not be discussed in this chapter, as phylogeneti-cally they do not appear to be related to the IgSF, but rather to be the result of different evolutionary paths converging to the same stable fold topology. 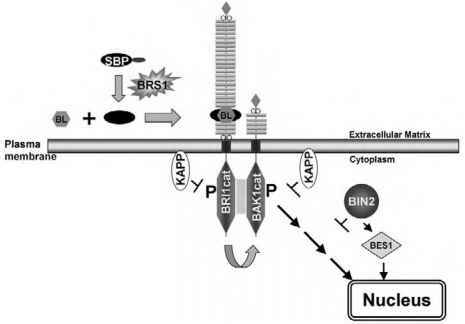 They include the motif characterized by the type III domains of fibronectin (Fnlll), the bacterial C3 subset, and the actinoxanthine-like C4 subset . IgSF proteins are typically multi-domain structures, and these domains may or may not be exclusively Ig like. Multiple copies of the Ig-superfold can occur sequentially within the same polypeptide chain, resulting in a "beads on a string" type of linear arrangement of the domains (Fig. 1a); an extreme example of this molecular architecture is exhibited by the giant, multidomain muscle protein titin . At the cell surface, the longest of the linear-type IgSF proteins identified to date is sialoadhesin (siglec-1), with an extracellular region consisting of 17 Ig-like domains . More typically, the extracellular regions of IgSF proteins contain 1 to 4 Ig-like domains, often intermingled with fibronectin type III domains . 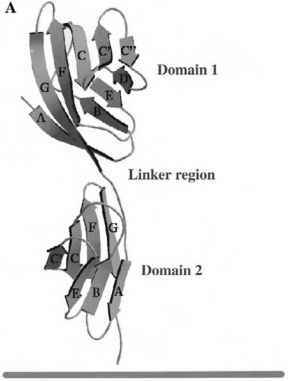 The linker regions between domains in the "beads on a string" type of structures can be short and relatively rigid (for example, between the two Ig-like domains of CD2 ) or longer, introducing more degrees of freedom at certain points in the molecular structure, as in the link between domains 2 and 3 of CD4 . For a subset of IgSF cell adhesion molecules, such as axonin/TAG-1 and hemolin, an extended linker region allows the molecule to double back on itself, pairing Ig domains to create an overall horseshoe or u-shaped type of architecture [10,11]. A pair-wise packing of Ig domains is reminiscent of the archetypal immunoglobulin structure, and, more generally, within the IgSF two separate polypeptide chains bearing Ig-like domains homo- or heterodimerize (Fig. 1b) to form the stable molecular structure—for example, CD8 . The size of IgSF molecules, their flexibility, the positioning of the Ig-like domain(s) within the overall structures, and the formation or absence of pairwise domain interactions within the molecules all contribute to the mode of function of the Ig-superfold in each particular case.